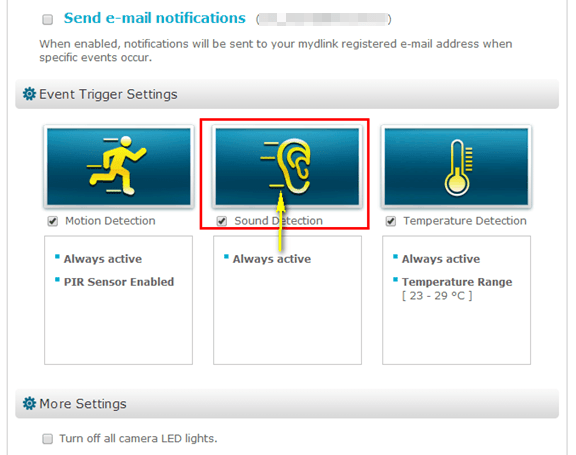 How do I configure Sound Detection on my mydlink Baby Camera using the mydlink service? 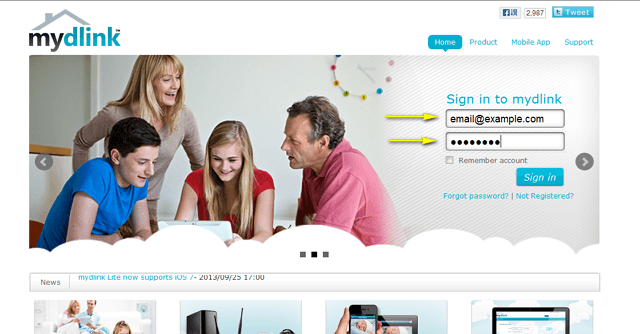 To be used if your mydlink Baby Camera is already registered with the mydlink Cloud Service. 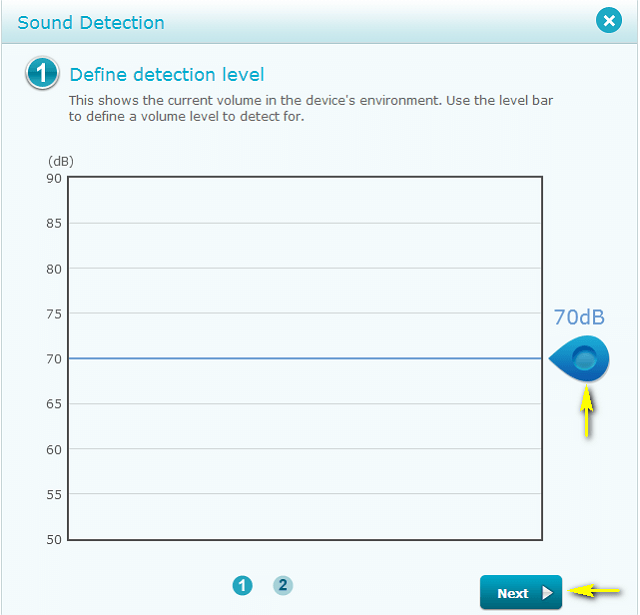 Step 5: The graph shows the current volume in the device's environment. 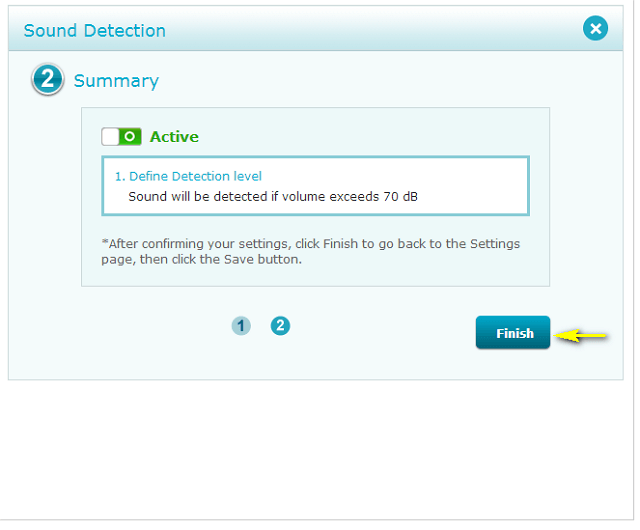 Click and drag the blue tab to move the level bar and define a volume detection threshold for sound detection. Click Next to continue. 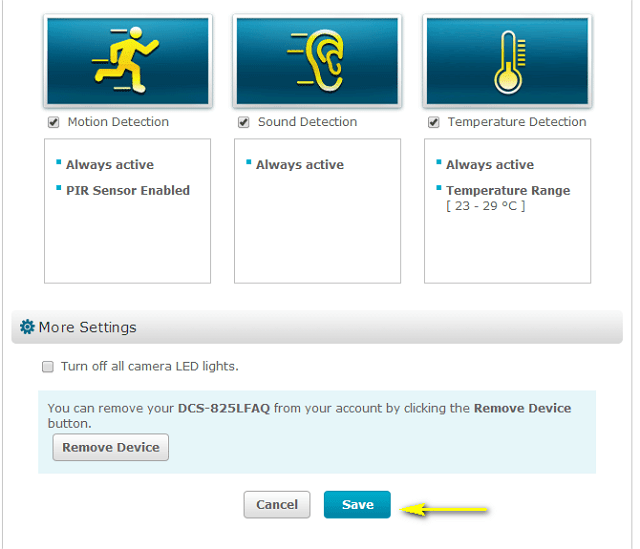 Step 6: Click Finish to confirm motion detection settings. 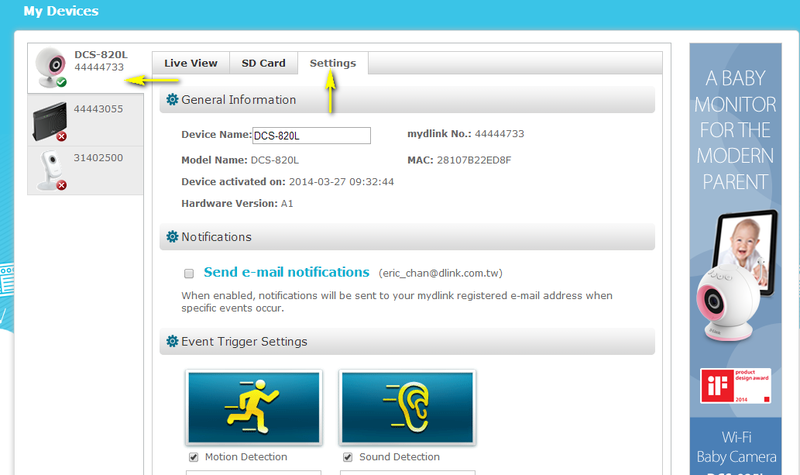 Step 7: Click Save to save the current configuration. Step 7: Click Yes to confirm saving changes.